Leave behind the greens, blues, reds and blacks in favour of the colours, sights and sounds of the surrounding Tweed Valley. 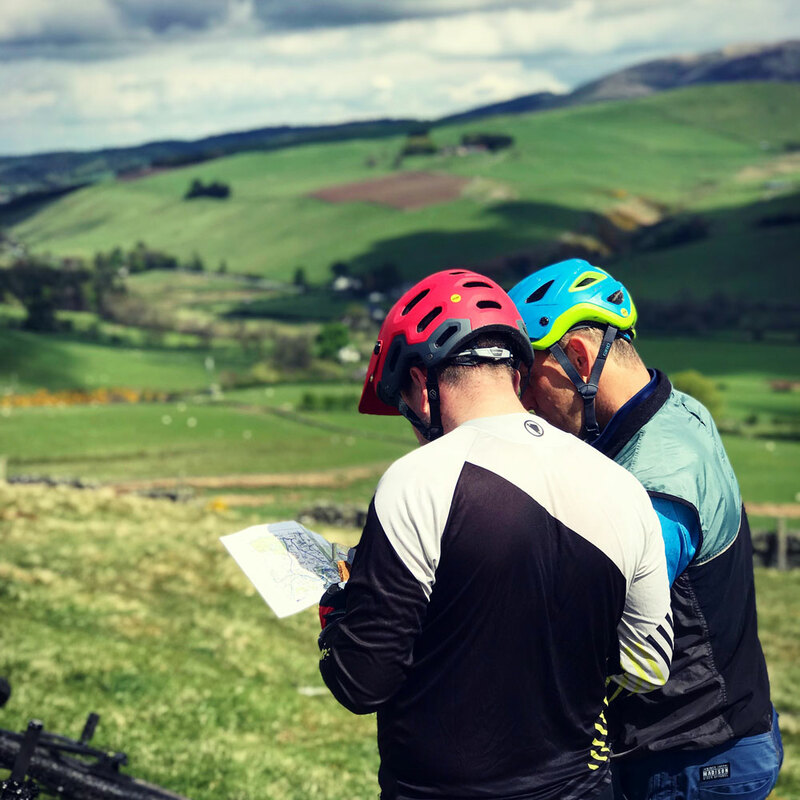 We’ll take you on an adventure around the area that surrounds Peebles and Innerleithen on a challenging, traditional style mountain bike ride. Not too far, not too technical, but very rewarding. Let the adventurer in you loose amongst the best rolling hills and deep glens that the area has to offer. 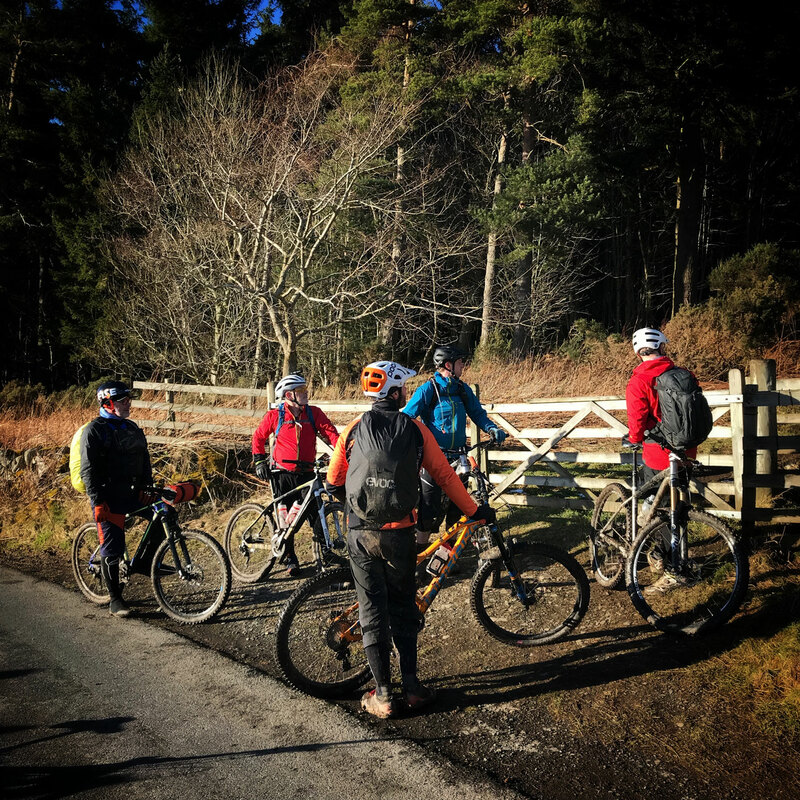 If you’re coming on holiday, a day trip with friends just looking to go on a ride that reveals new trails and opportunities to ride something outside the trail centre environment, then this is for you. We’ll lay on a local guide that will cater for your every need and take you safely round a mystery route specially planned to make the most of your day. We’ll even throw in a packed lunch with coffee and cake upon our triumphant return to Glentress! You’ll need a well fitting, good quality mountain bike in serviceable condition. You’ll need a good quality, well fitting cycling helmet. You’ll need to wear appropriate clothing & footwear for the conditions. We recommend that you wear full fingered gloves, protective eyewear and a waterproof jacket. Plenty of water and any snacks you feel appropriate. The Tweed Valley Explorer (TVE) routes are generally around 30km – 35km long with long climbs and descents thrown in. This means you will have to have a good level of fitness to take part. Take a look at some prerequisites we recommend before considering a TVE ride. You should have a good level of fitness on a mountain bike. You should be very comfortable on blue trails and riding reds with regularity. You should have a good idea of your energy levels during the activity. You don’t have to be able to read a map, but we might show you one? Our experienced guides will lead the way and make sure you take in the local sights as well as the best natural routes available. * Basics: Suitable MTB in good working condition. * A rucksack for all your gear. * You should be at least 16 years old. * You should have a good level of fitness on a mountain bike. * You should be very comfortable on blue trails and riding reds with regularity. * You should have a good idea of your energy levels during the activity. We'll meet at the information boards at Glentress shower blocks for a quick briefing, bike and kit check then we'll simply get underway. A BIG TWEED VALLEY DAY TRIP TAKING IN SOME OF THE BEST TECHNICAL DESCENTS ON OFFER. 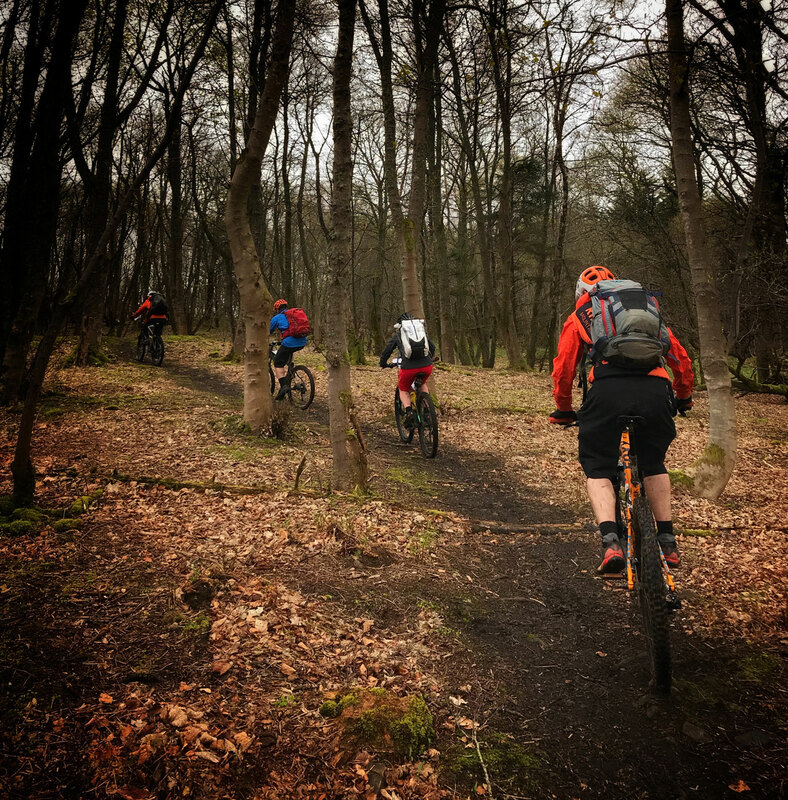 If you’ve got a need for adventure and want to ride some more challenging trails, then this Tweed Valley guided mountain bike ride is for you. A big ride through the amazing hills and valleys above the iconic River Tweed taking in all of the trails you’ve read about. 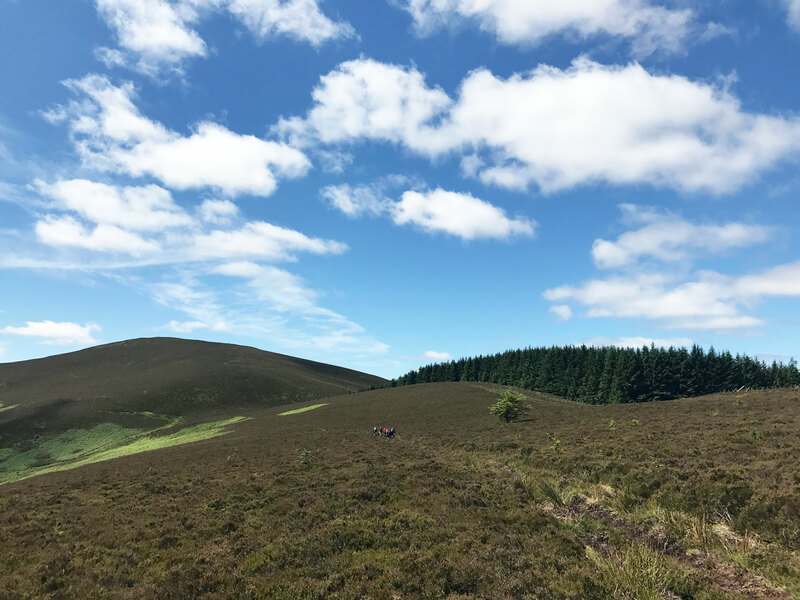 We may even touch legendary places like Gypsy Glen, Innerleithen, the infamous Golfy trails we’ll show you the very best content for your instagram feed! Introduce some skills tuition & local knowledge into your trail centre visit. 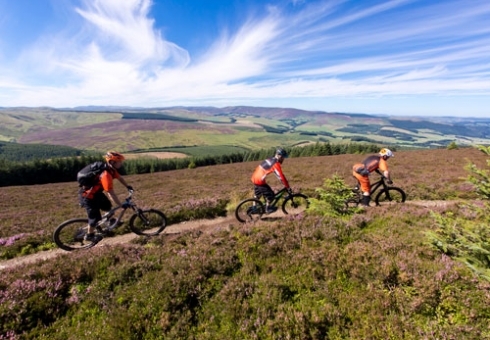 Our Trail Centre Support package takes the guesswork out of your visit to Glentress. What trails to ride, am I capable, will I get lost? Well we can help you. 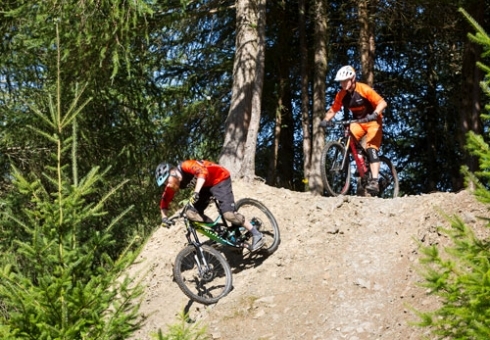 Wether it’s a one to one experience, a group ride or you and your family, we’ll spend some time on skills tuition and techniques then one of our instructors will guide you round the appropriate trails for your skill level. Making sure you get the absolute best riding Glentress has to offer.